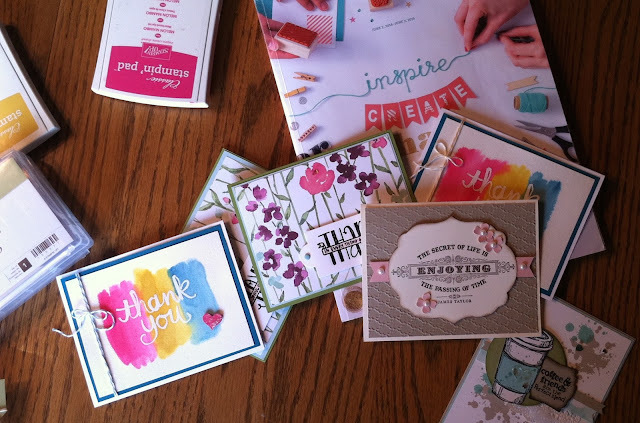 Stampin' at Dawn: Farewell to the Old....Hello, New Catalog! 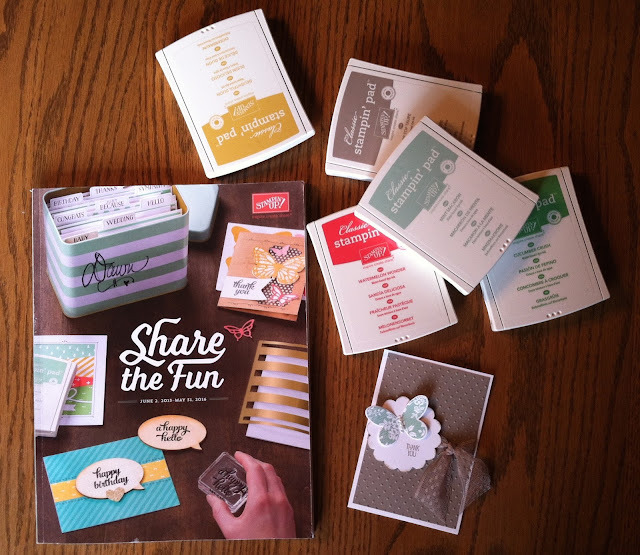 Farewell to the Old....Hello, New Catalog! Two of my favorite sets that are retiring are Perfect Blend (especially when you use it with Gorgeous Grunge). This is cased from Stampin' By the Sea. And....this card, using the set From My Heart. 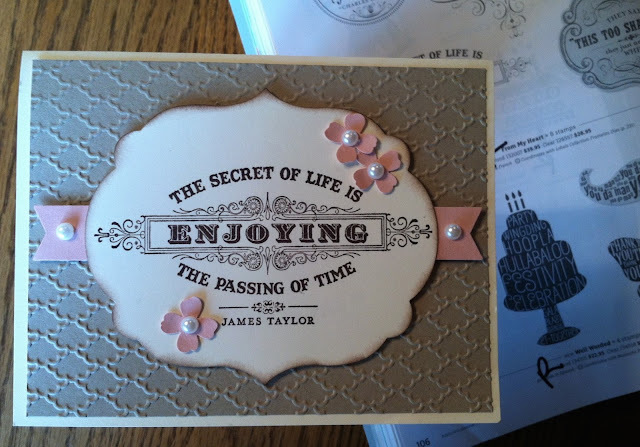 I love the sayings in this set and really like this card. I pretty much cased this from Mommy Stamper found here, but added the little flowers from the Itty Bitty Accents punch set and did my blushing bride banner behind with 2 of the banners punched out with the banner punch. It also used the retiring Label Collections framelit (sniff!) and fancy fan embossing folder. 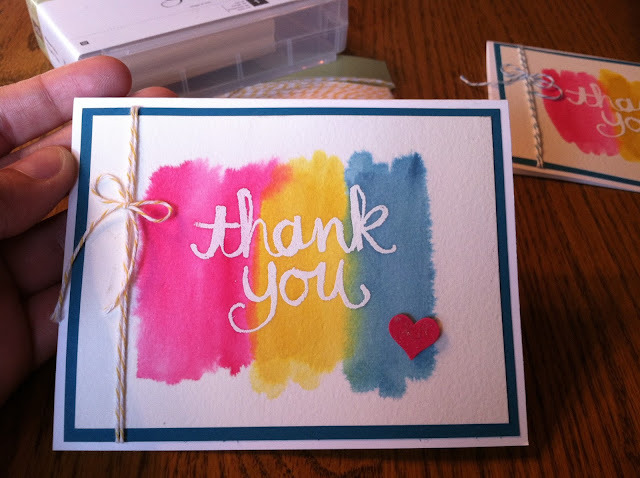 My next card that I demonstrated uses the beautiful Painted Blooms designer paper that is retiring...tomorrow. I'm hoping there's a replacement for it in the new catty. The paper makes the card and I used the Banner Blessings photopolymer set which will not be around for much longer since SU only guarantees its availability for 6 months after it's introduced. I got the idea from Susan Campfield's blog here. 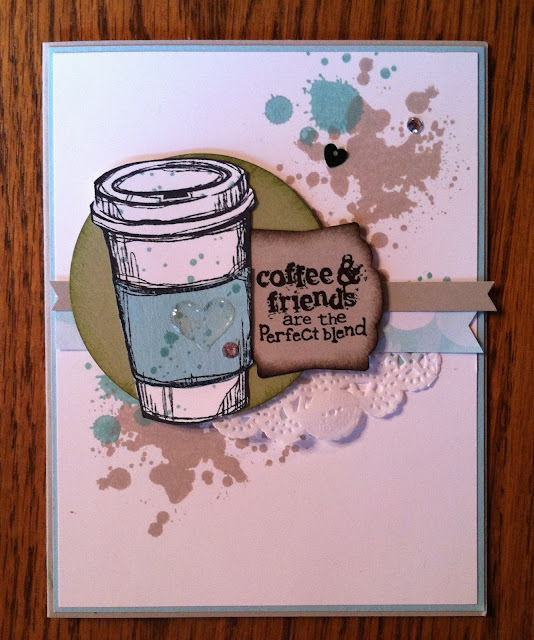 I used an old olive card base with soft sky layered on top of that then the designer paper. The sentiment was stamped with versa mark and then embossed with black embossing powder. I used a blender pen and pink pirouette ink to fill in the banner. I then highlighted the letters with soft sky ink and a blender pen. 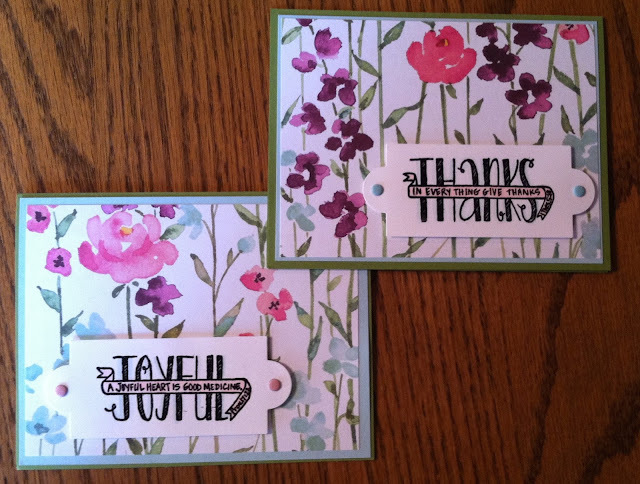 Cut it out with the framelit from Apothecary Accents (also retiring) and you have a quick, easy and striking card! had dazzling details spread over it which makes it shine (which you can't see). After this was over we made a notecard sized card using a few of the new in-colors--and everyone got a new catalog!